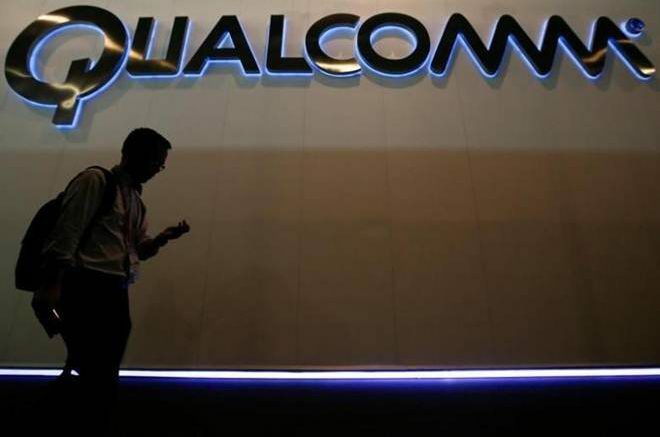 As the Indian market embraces the 4GLong Term-Evolution (LTE) technology ecosystem in a big way, global chip giant Qualcomm finds it natural to innovate for the growing 4G market in the country, a senior company executive has said. According to Counterpoint Research’s “Market Monitor” service, LTE-installed base of mobile handsets crossed 150 million units in India — behind only China and the United States — and is estimated to surpass the US in the next one year. Leading the 4G data race is Reliance Jio that has garnered 125 million customers across the country. Since its launch 10 months back, Jio has added seven customers per second on an average. “The Indian market is rapidly transitioning into a 4G LTE market which marks an excellent opportunity for us,” Larry Paulson, Vice President told. “Our roadmap at this point entirely consists of 4G LTE. We already carry a rich legacy in 2G and 3G technology in India,” Paulson added. In March, the company announce Snapdragon 205 mobile platform that is target at 4G feature phones. “Though there has not been any public announcement about 4G feature phones with Qualcomm but yes, we are moving ahead quite well with that technology,” Paulson noted. Reliance Jio is launch a “free” JioPhone that is power by Qualcomm’s 205 mobile platform. Qualcomm believes the users in India give importance to value and that is why the company is focused on the value proposition. “First and foremost, there is a long line of lessons in doing business in India. “We are enabling our customers and partners to build products that not only have high capabilities but also help them package those capabilities in a value proposition. With this, we have announced our roadmap at mobile platform 200 and then Snapdragon 450, 600, 800. I think we are addressing exactly that value proposition,” Paulson contended. The company stressed that it would continue to work on research and development and engineering technologies in the country. Qualcomm is also confident about the newest addition to the Snapdragon 400 chipset family. “We have four chipset families — the Snapdragon 200, 400, 600 and 800. Each one means more and enables more. To be able to bring that technology down to Snapdragon 400 level is very good for India. That also means we will be able to hit quite attractive price points and powerful technology,” Paulson told IANS. Snapdragon 450 was unveil at the Mobile World Congress (MWC) in Shanghai this year. “This is the first time we have brought the 14 nanometre (nm) technology down into the Snapdragon 400 family. The benefits of this are power management and size,” the executive said. Qualcomm India has also started an initiative named “SoochnaPreneur”, in association with Digital Empowerment Foundation (DEF), that aims to connect rural youth to information. The programme also aims to create technology-based entrepreneurship. The initiative also demonstrate how advance wireless technologies can be use for social and economic empowerment, helping to bridge information poverty gaps through last-mile information access and delivery of services. Be the first to comment on "Qualcomm: We are innovating for India’s growing 4G LTE market"